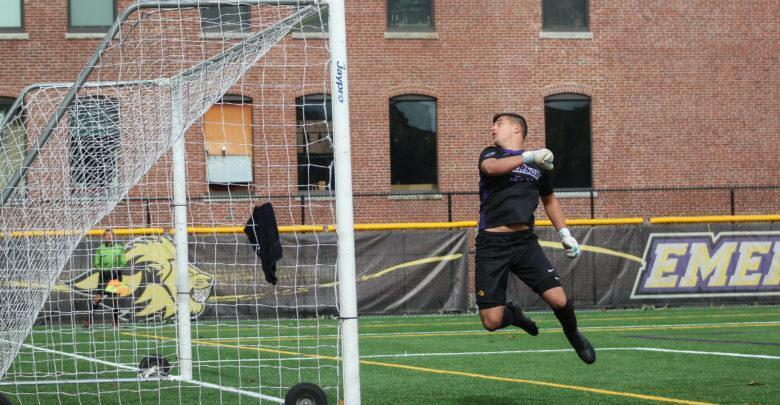 Emerson spent around $1 million on renovations to Rotch Field this summer, according to a college official. The college paid for the project through an annual budget called “Renewal” that allocated the money for renovations years ago, according to Senior Associate Director of Real Estate Art Mombourquette. The college utilizes Rotch Field for practices and home games for soccer, lacrosse, and softball teams through a public and private partnership between the college and the Parks and Recreation Department of Boston. Renovations included the replacement of the synthetic turf field, an upgraded LED lighting system, and new dugouts. Fundraising by the Athletic Department paid for other renovations that occurred at Rotch Field this summer, according to Athletic Director Patricia Nicol. These renovations included the new team locker rooms. “This was the college’s commitment to the program. The college demonstrated a very significant commitment to the athletic program to keep us on par with the [New England Women’s and Men’s Atheltic Conference],” Nicol said. The project originated from the need to replace the 13-year-old turf field. Sophomore David Kemp, the men’s soccer goalkeeper, described the condition of the old turf field. The old turf led Kemp to keep his skin covered while playing to avoid getting turf burn. Kemp said with the new turf he only plays in long sleeves due to cold weather. The college considered renovations to the field like they would consider renovations for any other college venue. “We appreciate the support and commitment that the college has extended to athletics. It’s greatly appreciated,” Nicol said. Kemp said he appreciates the renovations and how they will impact future athletic seasons.